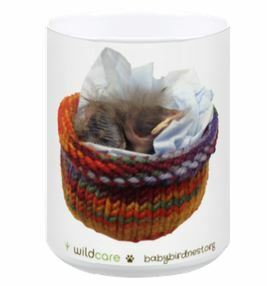 Give the wonderful gift of WildCare and help us save wild lives! 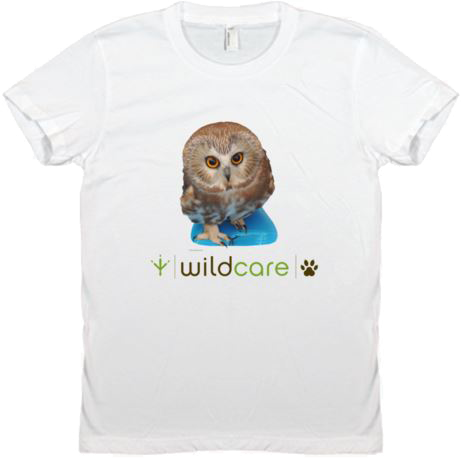 Each purchase of fabulous WildCare merchandise includes a $25 donation to WildCare. Most WildCare gifts feature REAL patients from our Wildlife Hospital, so they are both unique and adorable! Give great WildCare gifts to everyone on your list… Scroll down to shop! Always use smile.amazon.com when shopping to support WildCare at no cost to you! 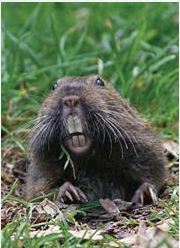 Click to smile.amazon.com and choose WildCare as your charity! Amazon will donate a percentage of your purchase (any purchase!) to WildCare as a result. 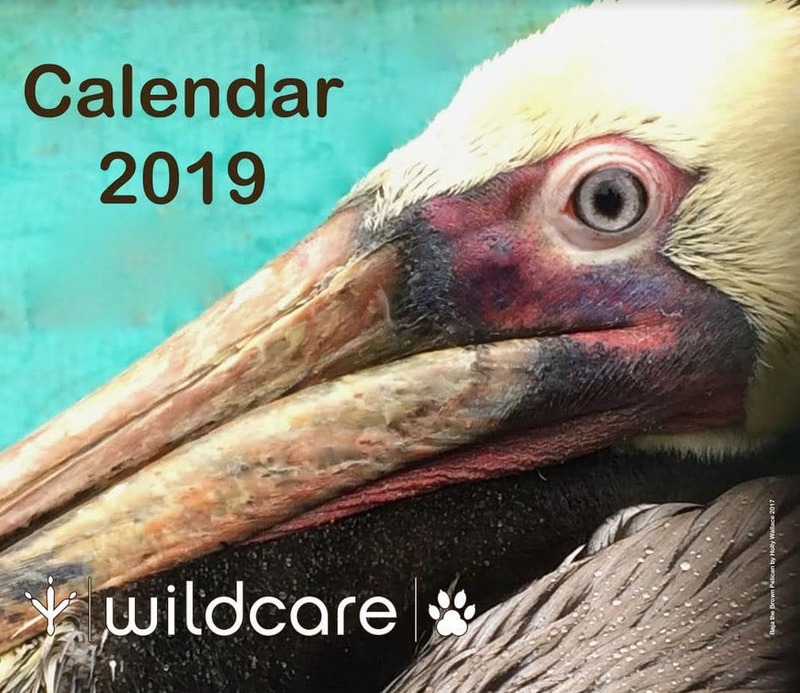 Our 2019 WildCare calendar features dozens of our favorite photographs from our Wildlife Hospital and our Living with Wildlife Photography Contest. Each month will bring the gift of the wild into your life with stunning images of WildCare’s wildlife. This beautiful book features a compilation of award-winning photographs from WildCare’s Living with Wildlife Photography Contest, and some of our favorite images from the Wildlife Hospital. Click to purchase yours in soft or hard cover! This photo of two adorably curious Barn Owls by photographer Gary Walter is one of our most popular WildCare photos ever! Get a print of this wonderful photograph for yourself or give it to someone special this holiday season! 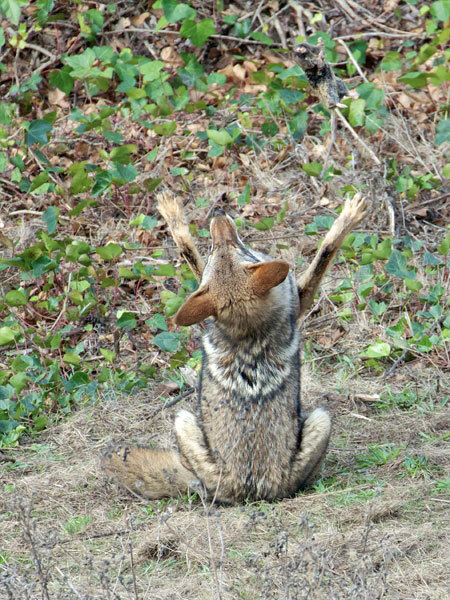 This photo and some of the amazing finalists in this year’s Living with Wildlife Photography Contest may be purchased as an 8 x 10 print, perfect for framing and display. Click here to buy yours now! 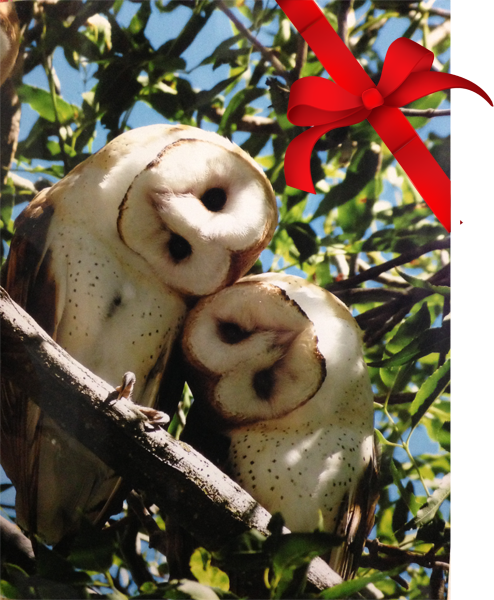 The $25 purchase price includes a $20 donation to WildCare to help us care for Barn Owls and the other amazing wildlife we treat and teach about. Choose from a wide selection of beautiful images! Buy this print! Buy this print! Buy this print! $20 donation will be matched! 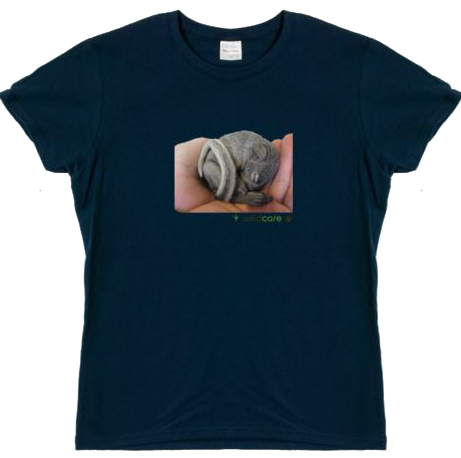 T-shirts featuring REAL WildCare patients! 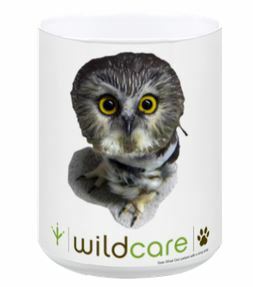 Each item in our collection features an actual patient from WildCare’s Wildlife Hospital! You and your gift recipient can both show your support for the compassionate work WildCare does— they can wear their cool new tee, and you’ll know that your purchase included a $25 donation to WildCare to help us heal more animals just like these! Even better, a pledged Matching Gift means your online donation will be doubled this December! The shirts shown above are only three of the available options. Choose from a variety of different animals and designs, in a wide selection of colors. Each online purchase includes a $25 donation to WildCare. Click to shop now! Please note: Production with standard shipping can take 14 days, so order soon! Your holiday, birthday or gift for any occasion can extend far beyond that special day through WildCare’s Adopt a Wild Animal program. 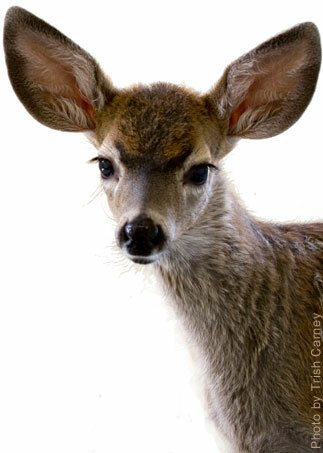 When giving the gift of a WildCare wild animal adoption, your gift recipient receives an art quality 8” by 10” color photograph, a personalized certificate of adoption and a fascinating information page on the animal’s natural history. Please note: Adoptions must be received by December 16 to guarantee arrival by Christmas! Show someone you really care — about them and wildlife! Sponsor a group of orphaned wild babies at WildCare. No matter their species, all orphaned baby animals arrive at WildCare needing warmth, gentle care, proper nutrition and a feeling of safety and security. These wild babies will make anyone smile, and with your sponsorship you’ll be giving all of WildCare’s orphaned baby animals a chance to grow up strong and healthy and to return to their homes! Click to sponsor a group of orphaned babies now! Please note: Baby Animal Sponsorships must be purchased by December 16 to arrive by Christmas! their favorite beverage and are dishwasher- and microwave-safe. 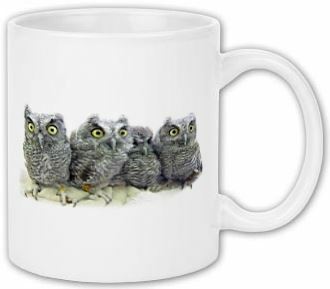 The mugs shown above are only three of the available options. Choose from a wide variety of different animals and designs. Please note: Production with standard shipping can take 14 days, so shop now! 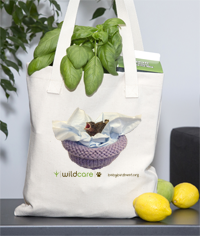 Stay green and share the joy of WildCare with our reusable canvas tote bags. The bag is made by American Apparel in a thick, natural canvas. It’s an ideal book bag, or even just something to take along to the farmer’s market. With dual handles, the tote is 14 3/8″ x 14″ (36.5 x 35.6 cm) in size. The totes shown above are only three of the available options. 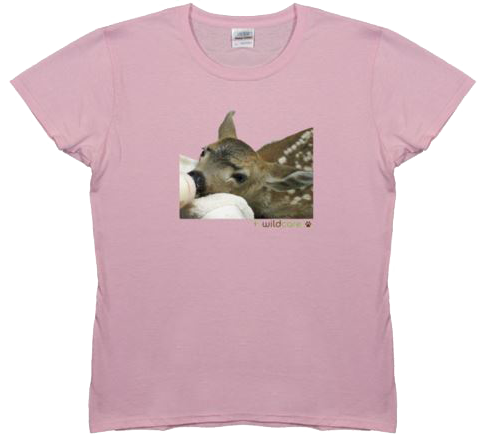 Choose designs featuring several former and current WildCare patients. Please note: Production with standard shipping takes 14 days! Even better, a portion of the proceeds from every card comes right back to WildCare to support our Wildlife Hospital and Nature Education programs! 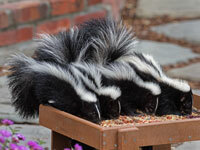 Click to view WildCare cards at Second Chance Greetings! Choose from a wide selection of cards, perfect for all occasions! I’ve never felt closer to anyone. Word underground is it’s somebody’s birthday. Happy Birthday! From reptariums and Kritter Keepers, to squirrel food and heating pads, WildCare needs lots of specialized supplies to care for our nearly 4,000 wildlife patients every year! You can help by purchasing items on WildCare’s Amazon Wishlist! Click to see the list of our most-needed items. Questions? Email wildcare@discoverwildcare.org.